Pharmaceutical Sales Team and its Parts!! If Business/Company is a Human Body then Sale is Blood for It. Without Blood, Human Body can’t work. Same in case of any company, without sale, a company can’t run. Sale is lifeline of for any Company. We are going to discuss in brief here. You can click at link given for read in detail about particular position. We will move discussion from Field Staff to upper Staff. A Medical Representative after promotion become a Area Sales Manager. Almost all Area Sales Manager once were a medical Representative. 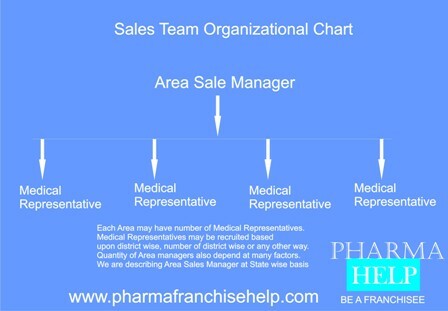 Area Sales Managers have almost similar roles and responsibility as of medical representative with few more additional responsibilities like handling a team of a number of medical representatives, motivating his team, making important doctor’s meeting and commitments etc. Area assigned to ASM is larger and broader as compare to MR. A Area Manager’s team may have number of medical representative like 3,4,5 or more depend at company policy. Number of Area managers are instructed and handled by a Regional Sales Manager. Sales department is divided into territory, area, region, zone and country bases. A region contains number of areas depend at companies policies. A Regional Sales Manager control and look after all activity in his assigned distance. At RSM level, person has to handle some corporate work along with sales work. A RSM reports to his ZSM (Zonal Sales Manager). Similar in case of RSM, in most of cases a ASM is promoted as RSM after a specific period of experience and achievements. At Country level, only generally 4 to 5 Zonal Sales Manager handles the sale of his assigned Zone. Zone may divided as per company’s policy. A country may be divided into 4,5,6 or as number of zones as per business opportunities, population, number of doctors, consumption of medicines etc. If we talk about Indian Business Territory, we can divide Indian business into 4, 5 or more zones like North Zone, West Zone, South Zone, East Zone, North East Zone, Central Zone etc. A ZSM work is to monitor his zonal sale and company progress. Finding new ways to boost sales and dominating competitors by monitoring and overcoming their strategy and policies. Now we come to GM-sales. We can say head of department of sales. A GM can be appointed as country level or number of zonal level depend at companies policies. He looks after over all things in his assigned team and area. He rarely go into field but in special cases, he also has to go into field to boost sale and growth. There may also some above level sales officer present like Vice-president Sales, President Sales etc. Team Structure is variable and changeable as per requirements and sales opportunities in particular area. Its not fix to appoint or fix territory all over India in same manner, it may vary according to need. Suppose a company has 15 lakh sale per territory in north zone and 5 lakh sale per territory in west zone, then you can’t appoint sales team same for both zones. Even you may find difference in different territories in single area.